Spring has finally arrived in Brooklyn and we’ve been soaking up every last minute of it. We spent the majority of this weekend outside wandering wherever our interests took us. It has been wonderful to get out of the house and let Finn start to play out in the world – he’s become quite a fan of the swings. It has, however, taken me away from my computer which means a lag in posting. Honestly, I’m entirely ok with that. I spend enough time staring at a screen during the week that breaks are welcome. But I have been working on a series I’ll be debuting this week and I have grabbed then tid bits from my browsing. Enjoy! 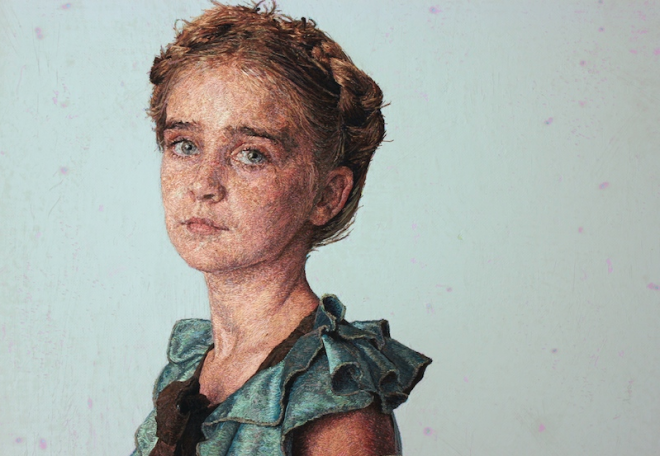 I could not believe how astounding these portraits are was and then I realized how it was made. It’s beyond incredible. I love every aspect of these ads, their retro feel, the actual product and the band. These photos are fantastic – the perfect fodder for someone who loves to dip back in time to see how things were. Speaking of how things are made I spent far too long watching these at by desk last week. While we’re on the ad tip – this piece is brilliant. The message and integrity make for a much needed reminder that marketing can have a soul. And finally, as the previous owner of the greatest black dog of all time, I really, really, really love this project.